Tranexamic Acid: Treatment for Brain Injuries With or Without Consent? The process of discovering a drug’s uses is long and complicated, and sometimes a drug exists prior to a treatment. 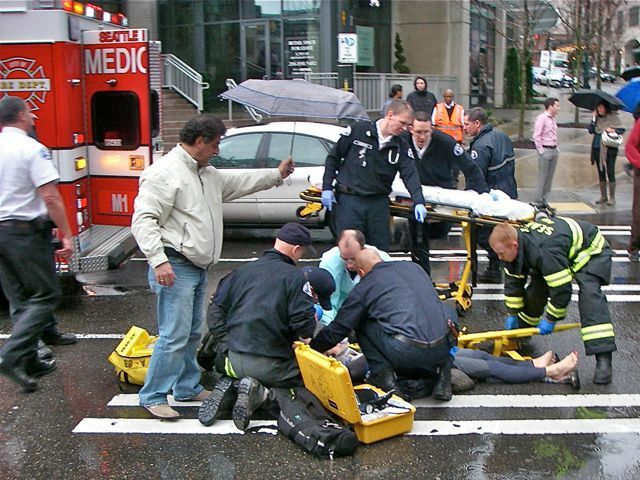 Harborview Medical Center wants to help discover a new form of treatment involving tranexamic acid, a drug which helps prevent internal blood loss for brain injury victims, and might help with victims of traumatic brain injury (TBI) if administered as quickly as possible. Ultimately, the problem here stems from the fact that many people with potential brain damage might not have the capacity to consent and the solution is slightly controversial. At first, this might seem a little confusing. Lots of people who require medical attention don’t consciously consent to it—the condition requiring a person to get medical treatment might also prevent them from consenting to that treatment, e.g. someone who suddenly loses consciousness. It is assumed that they still want treatment to stay alive even if that treatment might cause them slight harm. CPR, for instance, has a high probability of breaking ribs when it’s performed correctly. In emergency situations, doctors are empowered to take action that will avert loss of life only if it still meets a standard of care. That standard protects a person who cannot consent. But, when it comes to the administration of transexamic acid, consent would be for non-standardized care. Harborview Medical Center wants to use tranexamic acid for a purpose that it hasn’t been explicitly approved for. The treatment would be experimental (thus, “non-standard”). The Food and Drug Administration has already approved the drug for specific surgical scenarios that involve a great deal of blood loss, but it remains to be determined if it will help with blood loss for traumatic brain injuries. The spirit behind this type of consent is to let people more fully understand a treatment they might not have the requisite knowledge of to immediately grasp. Harborview Medical Center, because of the complications inherent to this type of treatment, can go a different route. They can alert the people who are likely to use their facility that they will be testing to see if tranexamic acid works for traumatic brain injuries (and they have through radio and television interviews as well as press releases at targeted groups likely to be injured, like sports teams). After hearing this news, people can “opt out” of this treatment. They’ll receive a bracelet emergency personnel will check for and the drug won’t be used on them. It’s essentially the inverse of the typical scenario that drivers encounter for becoming an organ donor at the DMV. The big question is will Harborview Medical Center raise awareness enough to properly inform the population that they can opt out of this experiment? Individuals can ask questions about the study and request to opt out via this number: 206-744-7724. Ultimately, medical malpractice is a huge, complicated issue and seeking qualified legal counsel is one of the best ways to determine any legal options moving forward, as well as to preserve a financial future when a professional’s negligence threatens them. Our bottom line: always “Opt-in” to good legal care.